Local church youth group provide young Durbanites with an understanding of their inalienable human rights. 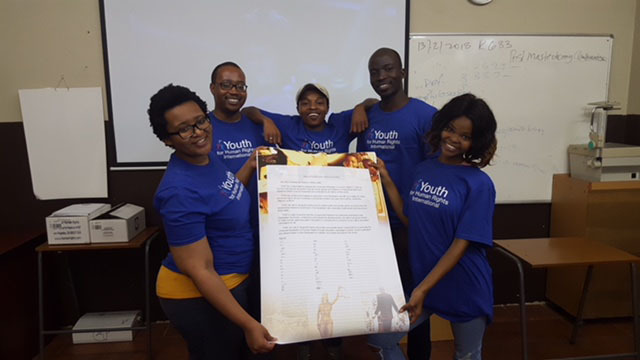 DURBAN, KZN, March 24, 2018 — On Saturday, September 24th, the Young People’s Division at AME at the Well hosted a workshop to celebrate Human Rights. 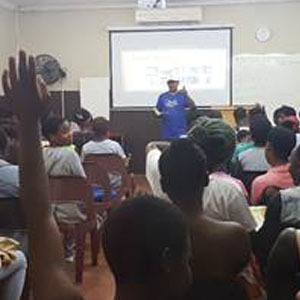 The seminar was aimed at youth in the Durban area and using material provided by Youth for Human Rights South Africa, they equipped more than 100 youth in attendance. 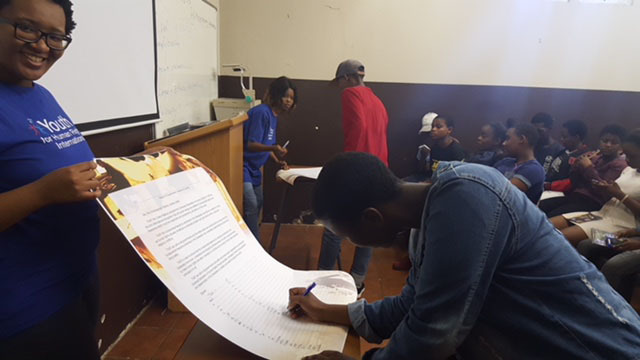 The day’s workshop included an interactive learning on the rights covered in the Universal Declaration on Human Rights, a document that was adopted by the United Nations in 1948 and was used in the forming of South Africa’s very own Bill of Rights. Each attendee also received a free booklet covering their 30 rights as well as the story of human rights. The event culminated with the attendees signing a petition calling for the government to make human rights a reality, over 100 signatures in all.